Sonic the Hedgehog hasn’t had the best luck as of late. In fact, I can’t recall more than one or two good Sonic franchise games released in the past decade. Even the nostalgia grab attempt of Sonic the Hedgehog 4, an episodic series that played like the original games, failed to please veteran fans. Sonic’s perpetual downfall has been a sort of running joke in the games industry for quite some time. The push towards modernization hasn’t been good for Sonic, and all fans ever wanted was more of the classic Sonic formula. That being said, we can all rejoice at last, thanks to Sonic Mania. 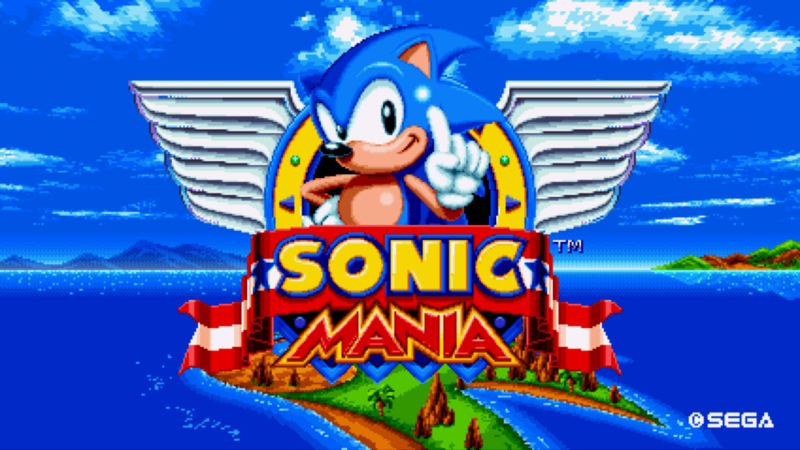 Sonic Mania is a bold take on the original Sonic the Hedgehog series, borrowing mechanics and overall tone from the Genesis-era games. Compiled in a variety of zones, we’re treated to crystal clear remakes of classic Sonic levels, new imaginings of fan favorites, and fresh new levels. It’s a grab bag of what’s new and what’s known, combining them for a cohesive and entertaining experience. There’s not too much change to the classic Sonic controls; you can jump and move, duck and spin for a quick speed boost, and that’s about it. A new addition gives us the ability to drop into a spin dash, which is mighty helpful, but the only new movement tech added to Sonic’s arsenal. 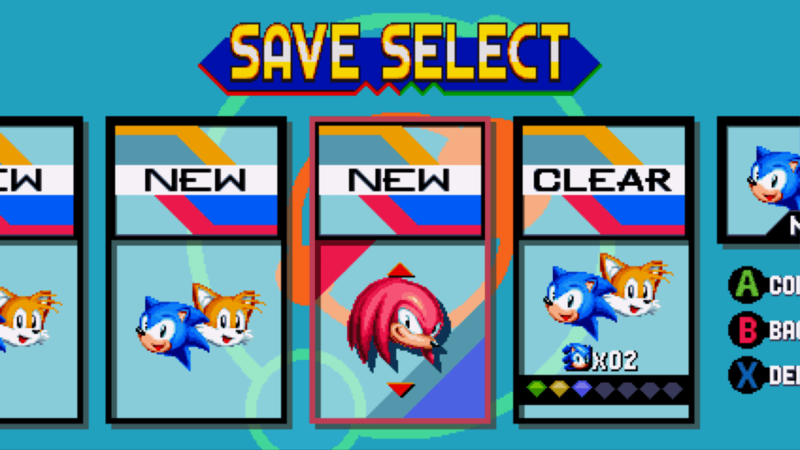 When starting the main game, you can choose between Sonic & Tails, solo Sonic, solo Tails, or solo Knuckles. Each plays a bit differently, and while the overall experience isn’t completely changed, the options are appreciated. On that note, cooperative play is more of a suggestion than an actual feature. There’s some competitive options outside of the main game that will provide some quick fun, but playing campaign with a friend isn’t so great. By choosing Sonic & Tails, a second player can take control of Tails whenever they so please. Tails can pick up Sonic and fly him to previously unreachable locations, deal out damage to bosses and enemies, and collect rings. Unfortunately, the player controlling Sonic is the absolute focus, and one spin dash will immediately leave the Tails player behind. Having another player along for the ride is helpful for boss battles, as Tails has no health bar or life count to speak of. When I played cooperatively, I was easily able to topple some of the harder bosses, making the experience much easier. Playing as Tails isn’t very satisfying, though. Being constantly left behind, unable to stay with the main player, and the overall lack of feeling in control makes it a rather passive experience. It’s ideal for parents who have young children and want to play along, but can’t truly disrupt the experience. Sonic Mania is broken up into three kinds of levels; remakes, remixes, and completely new. There’s 12 zones in total, with each zone containing two acts. The older Sonic titles usually had more than two acts, but I enjoyed the way that Sonic Mania distinctly separates the two acts. In zones that aren’t new, the first act is always a faithful recreation of the original zone. Starting the game up, you pop into Green Hill Zone: Act One, and everything feels just how you remembered it. The second act of remade zones amps up the action. Act two takes the assets of the original zone and remash them into something new and exciting. No matter how great the recreations are, I still prefer the new levels. New zones like Mirage Saloon embrace certain themes, and are generally beautiful to look at. The entire game is stunning visually, but the new zones really embrace the use of color and gameplay variety. In addition, the levels are much more interactive than before, with smart and excellent animation littered throughout. For example, the stools on a bar might swivel when you hop on them, and the environment generally feels more interactive. Speaking of gameplay variety, Sonic Mania does a great job appropriating what made the original series great into new and exciting play styles. Never dwelling on them for long, Sonic Mania introduces new elements and game mechanics every so often. Usually one mechanic is contained to one specific zone, and usually ties into the theme of the zone. Whether it’s something as simple as using jelly pools to bounce, or as complicated as jumping in and out of the background, the variations are always welcome. After you’ve completed the decently long main game, there’s several other modes to hop into. The aforementioned competitive mode pits you against a friend in any of the games’ stages. You can customize what items will appear, as well as the amount of rounds in the competition. Split horizontally, each player gets their own part of the screen. Things can get a bit chaotic, especially with the smaller play area, but that’s part of the fun. For players looking for a timed challenge, there’s a time attack mode. Much like competition mode, you race towards the end of the stage in as little time as possible. However, you’re aiming to place high on the leader boards rather than beat your friends. The unlockable content doesn’t end there, either. In the main game, hitting a checkpoint often gives you the chance to attempt the “blue sphere” mini-game. 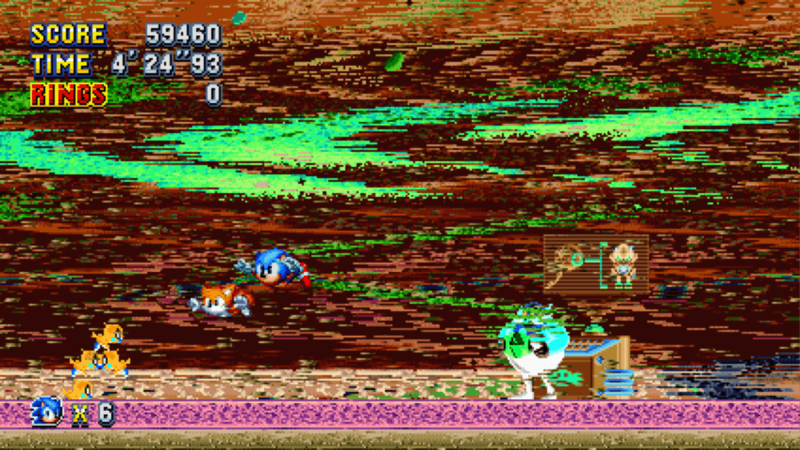 In this mini-game, the player moves Sonic on a grid-like stage, attempting to collect all the blue spheres and coins while avoiding the red spheres. It sounds easier than it actually is, as blue sphere mini-games are one of the most challenging aspects of Sonic Mania. Your hard work is not unrewarded, as completing the mini-games earns you silver or gold medallions. These medallions unlock extra content in the extras menu, and while I won’t spoil just what goodies await, I can guarantee you they’re worthwhile. In addition to the extra content, players looking for ultimate completion will find a few easter eggs and unlockable characters. Generally speaking, Sonic Mania is constantly giving you more reasons to play it, ensuring a high amount of replayability. I can’t say Sonic Mania is the perfect Sonic the Hedgehog game, because I’m not 100% sure that truly exists. I’m not an enormous fan of the Sonic formula, though I can definitely enjoy it in a game that’s crafted this well. Sonic Mania is the best possible retro revitalization of Sonic that we could’ve hoped for. It captures the essence of the golden age of Genesis, and remains fun and exciting today. The main gameplay still has the occasional flaw or frustrating death, but it’s a small price to pay for such a beautiful and passionate recreation of one of gaming’s most beloved fallen heroes.